Britain faces a moment of reckoning. The decisions parliament must take on the UK’s exit from the EU are the most consequential since MPs voted to join the then European Economic Community in 1971. The path of the UK’s departure will have a profound bearing on its prosperity, security and standing in the world — indeed, on the very kind of nation it aspires to be. It is right that parliament, as the cradle of Britain’s representative democracy, should cast the “meaningful vote” on Theresa May’s withdrawal deal from the EU. Parliament approved the decision to call a referendum in June 2016 and voted overwhelmingly to respect the Leave vote. MPs must keep this in mind even as they make a cold-eyed assessment of the prime minister’s Brexit deal. It is a finely balanced decision. There is little that is appetising in the agreement. It is manifestly inferior to the UK’s existing terms of membership of the world’s largest trading bloc. At Maastricht, an earlier conservative prime minister, John Major, masterfully negotiated a deal whereby Britain could stand outside the eurozone while enjoying full access to the single market. At a time when liberal democracy is under threat, Brexit diminishes both the UK and the EU. This is the hard reality, in contrast to the illusions and lies of the Brexit cheerleaders. Promises of an easy exit and instant free trade deals with the rest of the world stand exposed as fiction. Most mendacious of all is the claim that the UK could feast on the benefits without respecting the obligations of membership, the “cake and eat it” canard. Mrs May made a complex task infinitely harder by triggering Article 50 prematurely. She set the two-year countdown ticking to departure, with no agreement on the destination. Her ministers squandered precious time bickering among themselves instead of negotiating with Brussels. Mrs May held a botched election that cost her majority. The prime minister set red lines that needlessly hemmed her in. The Labour party, riven by Brexit but desperate for power, has evaded any responsibility to provide serious alternatives. Most egregiously, the withdrawal agreement risks tipping Britain into a “backstop” arrangement that would not bolster its sovereignty, but dilute it. True, the backstop is an insurance policy designed to preserve the fragile peace in Northern Ireland and avoid a hard border with the south. It would be triggered only in the absence of a new deal to take effect at the end of a 21-month plus transition period. But the backstop would leave the UK bound into a customs union with the EU27, largely unable to negotiate trade deals with third countries but prevented from leaving without other members’ assent. Such a veto is, at face value, intolerable for the world’s fifth-largest economy. For all its faults, however, it is questionable how much better the withdrawal deal could have been even without the government’s mis-steps — or whether trying to renegotiate it would result in anything substantially different. This is not defeatism. The EU27 held firm in the negotiations. Trade-offs were inevitable. In the end, an agreement that rightly aims to deliver what 52 per cent of the voters supported without alienating the other 48 per cent was doomed to disappoint. Yet Brexit is the most complex demerger in postwar history. It involves unwinding nearly half a century of economic and legal ties. Mrs May’s 585-page agreement does settle important issues. The rights of millions of EU citizens in the UK and UK citizens in the EU are secured. The deal cedes political influence but guarantees the frictionless trade and economic stability essential for business and jobs during the transition, with a possible two-year extension. Above all, it avoids the calamity of crashing out of the EU, with all the chaos and hardship that would entail. Critics will bemoan the lack of clarity in the accompanying political declaration on the future UK-EU relationship. This may turn out to be a virtue. The declaration aims to balance a degree of economic integration with giving Britain back control over immigration — an important factor for many Brexit voters. But it keeps open all potential destinations, from a Canada-style free trade agreement to a more closely integrated Norway-style option, remaining in the single market plus a customs union. It offers a stepping stone to a range of future relationships rather than plunging into the no-deal rapids. Mrs May’s deal respects the will of the people while tempering the effects of a referendum decision which this newspaper still considers a grievous act of self-harm. It is imperfect but ultimately pragmatic, which is why the Financial Times, reluctantly, offers conditional support. To reject it, as the majority of MPs seem inclined to do, is a high-risk strategy. It assumes credible and superior alternatives, which are not at hand. Above all, it threatens to hand victory to the Brexit Montagnards led by Boris Johnson and fellow fantasists who are ready to take the country over the cliff in pursuit of their purist vision of an unfettered, independent Britain. The parliamentary arithmetic suggests Mrs May does not have the votes to pass her deal, at least the first time round. Failure would make a no-deal exit much more likely. Avoiding crashing out would then become the priority. MPs should be ready to stop the clock on Article 50, and potentially seek a Norway-style relationship. If this proved unpalatable and all alternatives were exhausted, parliament would then be entitled to call for a second referendum. This would not be to dishonour the 2016 vote. The result might be the same. But at the very least voters would be far better informed about the true nature of the choice before them. THE TRADE disputes President Donald Trump relishes have an old-fashioned feel. Tariffs are the principal weapons. Old-economy markets, from cars to steel, are the main battlefields. Farmers and factories preoccupy the president. And his personal chemistry with other powerful men can make or break deals. Hence the focus on the meeting between Mr Trump and Xi Jinping at this week’s G20 summit, which takes place in Buenos Aires after The Economist has gone to press. Yet the trade conflict that matters most between America and China is a 21st-century fight over technology. It covers everything from artificial intelligence (AI) to network equipment. The fundamental battleground is in semiconductors. The chip industry is where America’s industrial leadership and China’s superpower ambitions clash most directly. And whatever Messrs Trump and Xi say at the G20, this conflict will outlast them both. That is because computer chips are the foundations of the digital economy and national security. Cars have become computers on wheels. Banks are computers that move money. 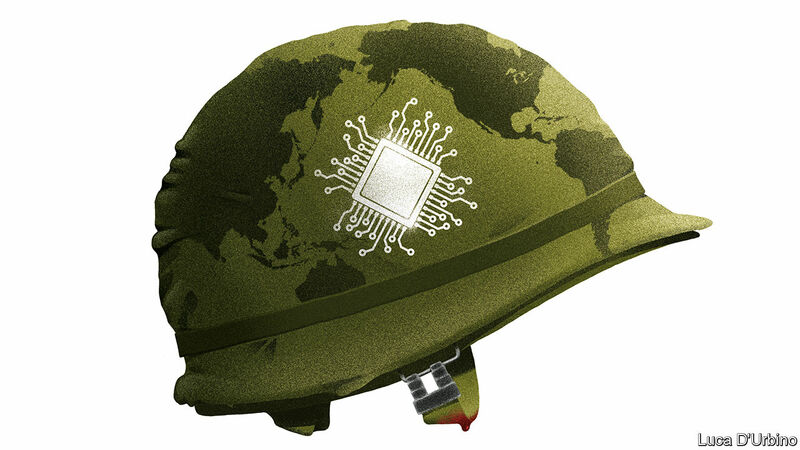 Armies fight with silicon as well as steel (see article). Firms from America and its allies, such as South Korea and Taiwan, dominate the most advanced areas of the industry. China, by contrast, remains reliant on the outside world for supplies of high-end chips. It spends more on semiconductor imports than it does on oil. The list of the top 15 semiconductor firms by sales does not contain a single Chinese name. Well before Mr Trump arrived on the scene, China made plain its intention to catch up. In 2014 the government in Beijing announced a 1trn yuan ($150bn) investment fund to improve its domestic industry. Semiconductors feature prominently in “Made in China 2025”, a national development plan issued in 2015. China’s ambitions to create a cutting-edge industry worried Mr Trump’s predecessor. Barack Obama blocked Intel from selling some of its whizziest chips to China in 2015, and stymied the acquisition of a German chipmaker by a Chinese firm in 2016. A White House report before he left office recommended taking action against Chinese subsidies and forced technology transfer. Other countries are alarmed, too. Taiwan and South Korea have policies to stop purchases of domestic chip firms by Chinese ones and to dam flows of intellectual property. Although the chip battle may have pre-dated Mr Trump, his presidency has intensified it. He has made a national champion of Qualcomm, blocking a bid for it from a Singaporean firm for fear of Chinese competition. Earlier this year an export ban on selling American chips and software to ZTE, a Chinese telecoms firm in breach of sanctions, brought it to the brink of bankruptcy within days. Startled by the looming harm, and (he says) swayed by appeals from Mr Xi, Mr Trump swiftly backtracked. Two things have changed. First, America has realised that its edge in technology gives it power over China. It has imposed export controls that affect on Fujian Jinhua, another Chinese firm accused of stealing secrets, and the White House is mulling broader bans on emerging technologies. Second, China’s incentives to become self-reliant in semiconductors have rocketed. After ZTE, Mr Xi talked up core technologies. Its tech giants are on board: Alibaba, Baidu and Huawei are ploughing money into making chips. And China has showed that it can hinder American firms. Earlier this year Qualcomm abandoned a bid for NXP, a Dutch firm, after foot-dragging by Chinese regulators. Neither country’s interests are about to change. America has legitimate concerns about the national-security implications of being dependent on Chinese chips and vulnerable to Chinese hacking. China’s pretensions to being a superpower will look hollow as long as America can throttle its firms at will. China is destined to try to catch up; America is determined to stay ahead. The hard question is over the lengths to which America should go. Protectionists in the White House would doubtless like to move the semiconductor supply chain to America. Good luck with that. The industry is a hymn to globalisation. One American firm has 16,000 suppliers, over half of them abroad. China is a huge market for many firms. Qualcomm makes two-thirds of its sales there. Trying to cleave the industry into two would hurt producers and consumers in America. And it would be a bluntly antagonistic act, which would make no distinction between unfair and genuine competition. In the long run it may be futile, too. Today America has the edge over China in designing and making high-end chips. It can undoubtedly slow its rival. But China’s progress will be hard to stop. Just as Silicon Valley’s rise rested on the support of the American government, so China blends state and corporate resources in pursuit of its goals. It has incentive programmes to attract engineering talent from elsewhere, notably Taiwan. Firms like Huawei have a proven ability to innovate; blocking the flow of Intel chips in 2015 only spurred China on to develop its domestic supercomputing industry. Moreover, China’s bid to become a global semiconductor powerhouse is propitiously timed. For decades the chip industry has been driven forward by Moore’s law, under which the capabilities of a chip of a given size double every two years. But Moore’s law is reaching its physical limits. As everyone jumps to new technologies, from quantum computing to specialised AI chips, China has a rare chance to catch up. The right approach for America, therefore, has three strands. The first is to work with its allies in Europe and Asia to keep pushing back against unfair Chinese practices (such as forced tech transfer and intellectual-property theft) at the World Trade Organisation, and to screen out inward Chinese investments when security justifies it. The second is to foster domestic innovation. More government funding is already going into chip research; greater openness to talent is needed. And the third is to prepare for a world in which Chinese chips are more powerful and pervasive. That means, among other things, developing proper testing procedures to ensure the security of Chinese-made products; and tightening up on data-handling standards so that information is not being sprayed about so carelessly. Measures such as these will not make the headlines at the G20. But they will do more to shape the world in the years ahead. Ahead of the meeting between Donald Trump and Xi Jinping at the G20 summit in Buenos Aires, it is hard to be optimistic that a meaningful breakthrough between the US and China is at hand. But an agenda of substance should be used as a checklist against any accord that the two leaders might reach. NEW HAVEN – With charges flying back and forth between the United States and China ahead of the eagerly awaited December 1 meeting between President Donald Trump and President Xi Jinping at the upcoming G20 meeting in Buenos Aires, resolving the conflict has taken on great urgency. The alternatives pose grave risks for both countries: an ever-escalating trade war, a cold war, or even a hot war. These risks can be avoided, but only if both leaders are willing to engage in principled compromise. There is no question that a serious conflict has been building for a long time. Contrary to the US narrative, the problem is not the outsize bilateral trade deficit between the world’s two largest economies. That is largely an outgrowth of macroeconomic imbalances that afflict both sides: China saves too much and the US saves too little. These saving disparities give rise to multilateral trade imbalances that cannot be resolved by bilateral efforts. The US had merchandise trade deficits with 102 countries in 2017, whereas China had trade surpluses with 169 countries in 2016. Squeeze one part of the multilateral imbalance for a deficit country or a surplus saver, and it simply gets allocated to other trading partners. For the US, this would lead to higher-cost imports – the functional equivalent of a tax hike on consumers. For China, it would spell increased export penetration into other markets. Fixation on the blame game of bilateral trade imbalances overlooks the possibility that this is a classic struggle of codependency. Yes, China has long relied on the US as the major source of external demand for its export-led economy. But the US needs low-cost imports from China to make ends meet for its income-constrained consumers; it also relies on China as the largest foreign buyer of US Treasuries to help fund chronic government budget deficits. And, as America’s third largest and most rapidly growing export market, China has become an increasingly important source of demand for US firms. The codependency framework is important because it underscores the need for joint resolution and compromise. As in interpersonal relationships, economic codependency can be destabilizing and ultimately destructive. When one partner changes course, the other, feeling scorned, lashes out in response. China, in this case, is the change agent – shifting its growth model from manufacturing to services, from exports to internal consumption, and from imported technology to indigenous innovation. At the same time, China is also moving from surplus saving to saving absorption, leaving it less to lend to its deficit partner, the US. Uncomfortable in its own skin, the US feels threatened by a partner that is changing the rules of this relationship. While Trump has acted on those threats far more aggressively than his predecessors, there can be no mistaking the bipartisan US sentiment now aligned against China. According to a September 2018 Axios survey, fully 80% of Republicans – long the party most supportive of free trade – believed that increased tariffs would be good for the US. Leading Republicans, such as Vice President Mike Pence and former Treasury Secretary Henry Paulson, have warned of a new cold war with China, while leading Democrats have come to the view that China has abrogated its role as a responsible global stakeholder. Market access: After ten years of tortuous negotiations, the time for a breakthrough on a US-China bilateral investment treaty (BIT) is at hand. Both sides would need to offer concessions. A BIT would lift ownership caps on foreign direct investment by multinational corporations in both countries, eliminating the contentious joint-venture structure in China that the US continues to insist – incorrectly, in my view – has become a mechanism for forced technology transfer. A BIT would also enable an expansion of Chinese ownership of US-domiciled assets – posing a challenge to the anti-China thrust of recent legislation that broadens the oversight powers of the Committee on Foreign Investment in the United States. Saving: Both countries need to commit to responsible macroeconomic adjustments. The US needs to save more, reversing the reckless budget-busting trajectory reinforced by last year’s ill-timed, outsize tax cuts. Rebuilding saving, rather than tariffs, is the most effective strategy to reduce trade deficits with China or any other trading partner. At the same time, China needs to save less, putting its vast pool of capital to work funding the country’s social safety net, which is essential for consumer-led economic rebalancing. Cyber security: The digital realm is the battleground of the Information Age, and the September 2015 accord between President Barack Obama and Xi clearly did not go far enough in defusing persistent tensions over online espionage, hacking, and disruption. The two countries should take the lead in forging a global cyber accord, complete with pooled metrics of cyber incursions, attack-reduction targets and a robust dispute-resolution mechanism. 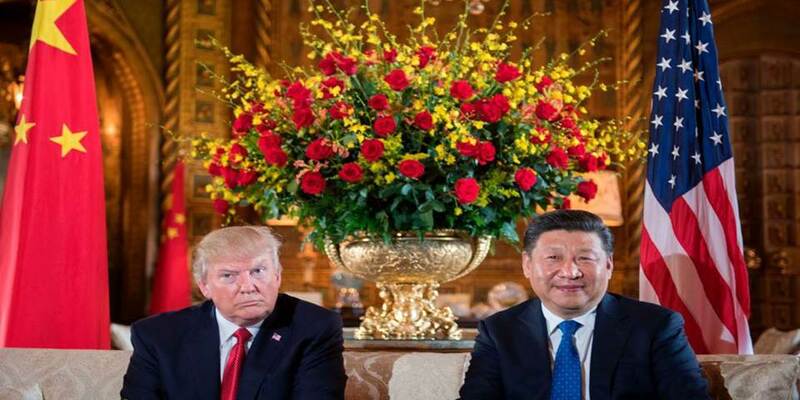 Dialogue: It is terrific that the two presidents are meeting again after their earlier tête-à-têtes in Beijing and at Mar-a-Lago. Those gatherings follow more formal engagements such as the Strategic and Economic Dialogue. But all of these efforts have been episodic events that are long on glitz and short on substance. A permanent secretariat that would engage in full-time collaborative efforts on key policy issues (including data sharing, joint research, and public-private consultation) would be far more productive. In light of contentious recent developments between the US and China, it is hard to be optimistic that a meaningful breakthrough is at hand. An agenda of substance should be used as a checklist against any accord that may be struck by Trump and Xi. The world is watching. Higher interest rates are hurting profits and driving down stocks. Banks, though, are earning more thanks to the Federal Reserve’s tightening. Investors have grown concerned in recent months that a flattening yield curve, meaning short-term rates rising faster than long-term ones, will suppress bank profitability. Banks make money by converting short-term liabilities such as checking deposits into long-term assets like mortgage loans, so this kind of rate action should be negative for their margins, or so the theory goes. But data released last week by the Federal Deposit Insurance Corp. shows these concerns are overdone. Following a Federal Reserve rate increase in June, banks’ net interest margins—or the amount they earn on loans and securities, minus funding costs—rose in the third quarter for the seventh straight period. At 3.45%, overall net interest margins were at their highest level since 2012. For all federally insured institutions, overall net interest margins were up 0.07 percentage point from the prior quarter, and up 0.15 percentage point from a year earlier. Margins rose at banks of all sizes, but the increase was most pronounced at smaller institutions. 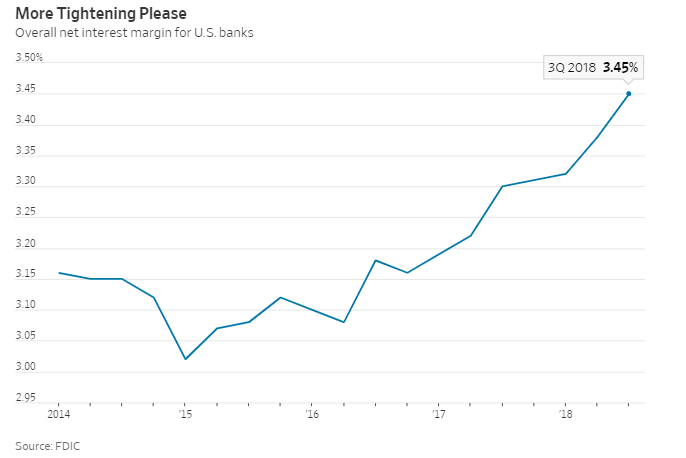 Banks with $1 billion to $10 billion of total assets saw an 0.08 percentage point boost from the prior quarter, while megabanks with more than $250 billion in assets saw just an 0.05 percentage point increase. Liability costs did rise as the Fed tightened—they were up by 0.10 percentage point in the third quarter. But the average yield on bank assets rose by a greater 0.17 percentage point. The problem with the simplistic view that yield-curve flattening is automatically bad for lenders is that it ignores the actual composition of bank books. Banks generally have few assets tied to the long end of the curve, like 10-year or 30-year bonds. Most business loans carry floating rates that adjust automatically in line with short-term benchmarks like Libor. Even longer-term assets such as commercial real-estate loans tend to have durations of only around five years. This doesn’t necessarily mean the coast is clear for bank stocks. There are other reasons for investors to be concerned, including a possible turn in the business cycle that would pressure lending growth and spur defaults. If the Fed jacks rates so high as to trigger a recession, banks won’t be cheering. Another rate increase is widely expected in December, but the view beyond that is obscure. Too much tightening isn’t good for anyone, but all signs indicate that one or two more increases would still be positive for U.S. lenders.